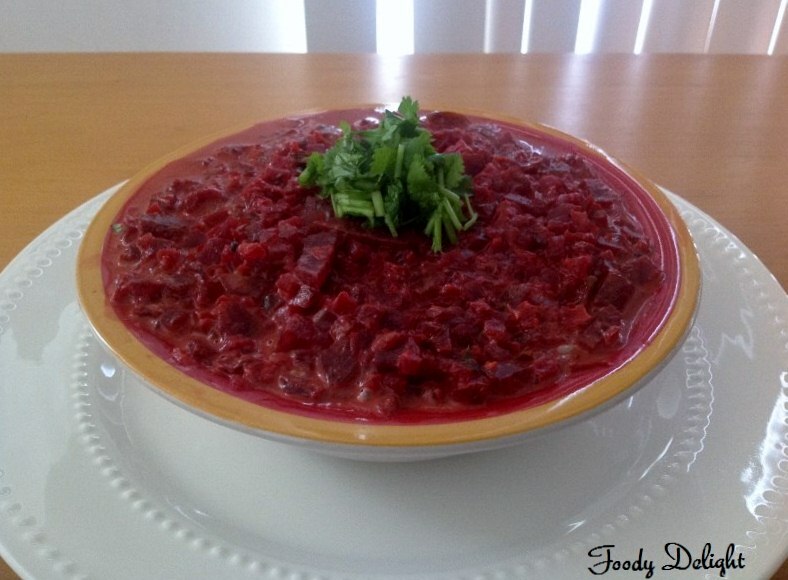 Beetroot is the great source of fiber and it contains very few calories. Its juice is said to lower blood pressure and therefore can prevent cardio-vascular problems. Beetroot is slighty sweet in taste and flavour, can be eaten raw or cooked. This recipe is prepared with some basic ingredients and can be served as the side dish with any type of Indian bread. Wash the beetroots,peel them and chop them into fine pieces. Add all the beetroot pieces into wide bottomed pan and cook them in little water till they are soft. Finely chop the onion and green chillies. Place the another pan on medium flame and add oil into it . When the oil heats up,add mustard seeds and cumin seeds. let it splutter for some time. Add curryleaves and chopped green chillies. Then add ginger paste and chopped onion.Fry till onion turns to light brown in colour. Then add all the dry masala powder.Stir well. Now add cooked beetroot pieces and coconut milk.Stir well and add salt to it. Gravy will become thick.Now add reserved beetroot water and mix well. Check for the spicyness,if required you can add more. Garnish the kurma with the chopped cilantro. 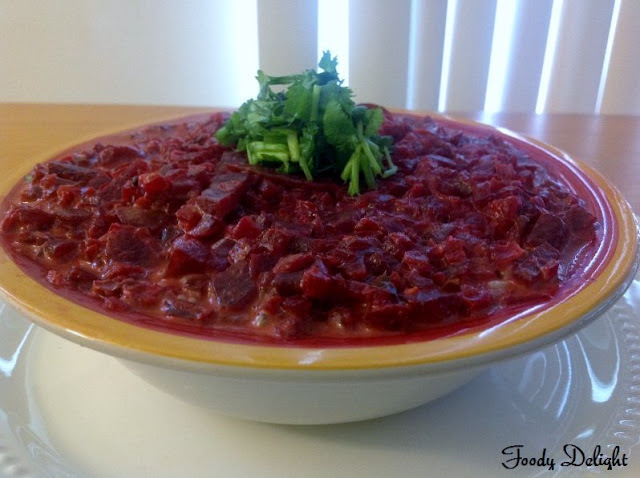 Beetroot Kurma can be served with plain rice or with any Indian bread. 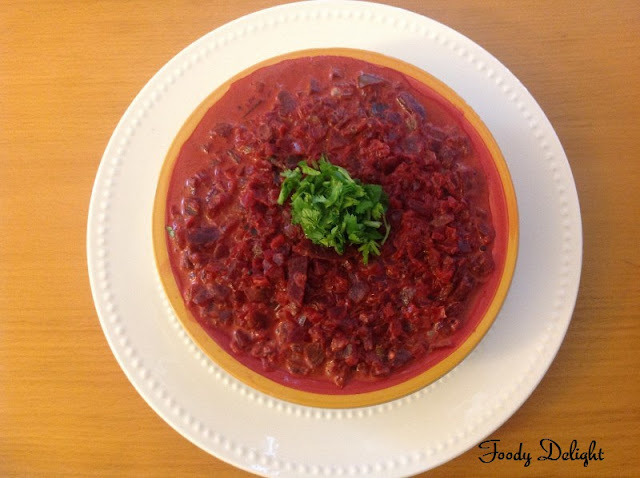 Delicious beetroot korma. Very colorful and beautifully presented..
looks so colorful and delicious..beautiful clicks dear!! Ciao, grazie della visita, ti seguo anch'io è bello condividere!!! Piatto molto particolare per i miei gusti, ma vale la pena provare!! !